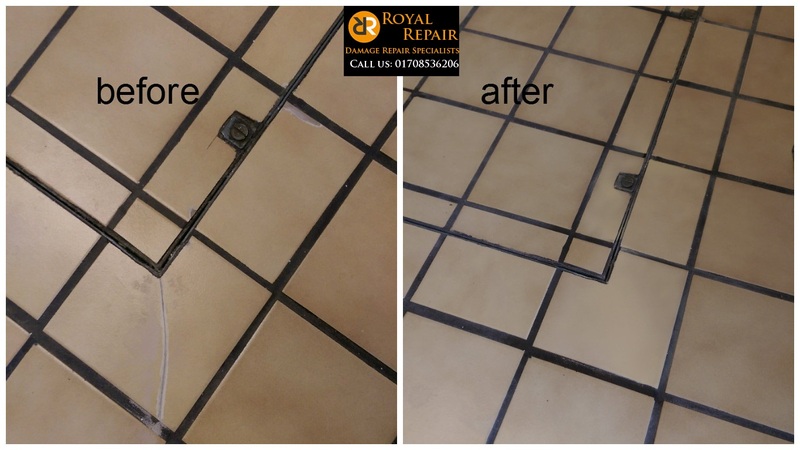 Chipped, dented, cracked tiles or even drill holes can be repaired by our repair specialist, any kind of tiles. 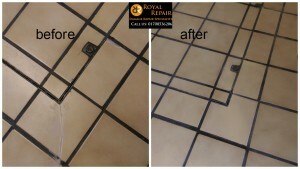 Here is few damaged tiles repair samples we had to repair this week. Pictures taken before and after repairs. First one in North London is ceramic tile, it was dented and cracked by trade, who used wrong tools to open access panel. 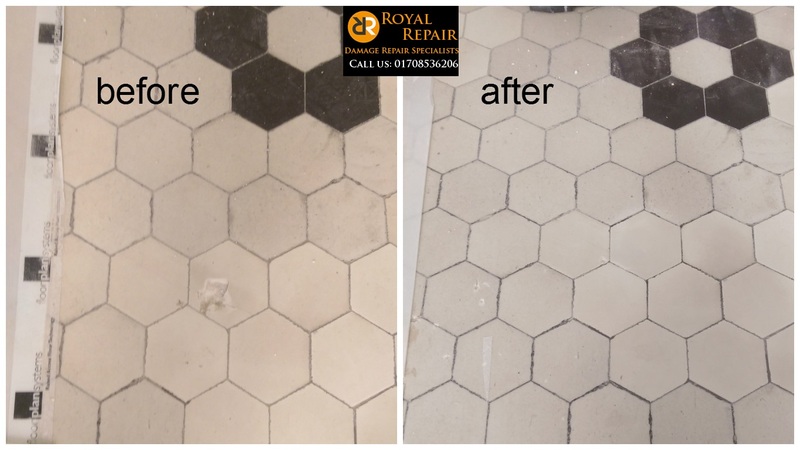 These tiles have been there for 20 years and slightly discoloured. Even if you will be able to find the right ones for replacement, they still will stand out. 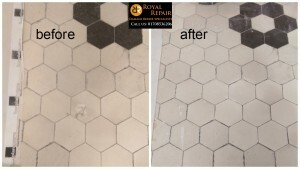 The ONLY option is to get them repaired by “Royal repair” damage repair engineer, who can match any colour. Second is solid stone tiles, around 60 years old that was damaged during construction works in central London, these are impossible to find these days. 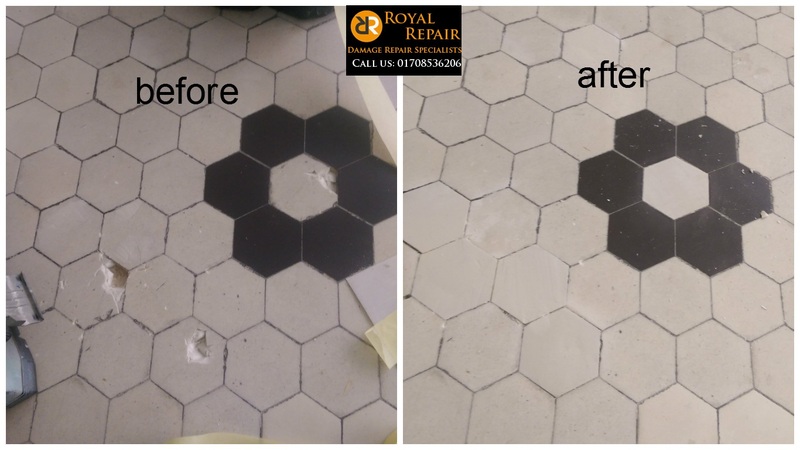 Our hard surface restoration specialist managed to recreate and colour match them so it’s impossible to tell that they were repaired. 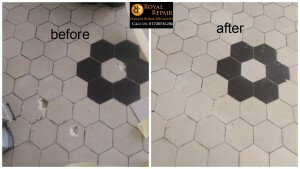 We saved contractor thousands of pounds because they would have to replace 50sq/m of floor tiles.